Great podcast! Perfect to those who are willing to study both tech and English. A look back on season 5 of the Learn to Code With Me podcast, and what’s coming up in season 6. Jesse Moore realized his ambition to work in tech by listening to the LTCWM podcast, and now he’s a junior developer. He shares his advice for those who want to do the same. In this special anniversary episode, I’m interviewed by my friend and former colleague, Jess Catorc. I talk about how I started my career in an unrelated field, why I started learning to code, why I started LTCWM, and my experiences working in tech. As the fifth season of the Learn to Code With Me podcast comes to an end, I share a few updates about what’s coming up over the next few months. Full stack developer, Dave Trabka, talks about talks about how he worked abroad, what working on the road actually looks like, and the pros and cons of travelling full time. Senior developer Seph Cordovano discusses the stress, overwork, and overwhelm that can come with working in the tech industry. He also shares his tips for looking after your mental health. Joy Carrera discusses the benefits of learning some basic coding skills even if you’re not a technical person and don’t want to be, as well as the perks of being a digital nomad. Information security trainer Kristen Kozinski discusses learning cybersecurity skills, moving into a more technical role within the company you work for, starting a side business and more. The Sprout Society founder Nicole Swartz discusses how you can start your own business, the important elements that make up a business plan, and some of the behind-the-scenes operations that go into starting a business. Full-time software engineer and part-time YouTuber Forrest Knight shares his advice on choosing the best laptop to suit your needs, whether it’s for programming or also to do more demanding tasks like gaming. Homeschooling mom of four and freelance web developer Sarah Greer explains what it’s like to freelance, how she landed her first clients, what she wishes she’d known when she first got started, and lots more. Corporate trainer and YouTuber Navin Reddy discusses emerging technologies for 2019, what’s changed since last year, how to keep up-to-date on tech trends, and more. Lenora Porter discusses how she hustled her way into tech and redefined what it means to be an artist in a world of technology. We also learn about her career journey, how she landed her first design job and so much more. Sameer Syed works at Jigsaw, building technology to fight online censorship. He shares the steps he took to transition into tech from a totally unrelated field and gives advice on how others can do the same. Laurence announces a short break and shares where you can follow her online in the meantime. She also shares the details of a free upcoming training called How To Close Your First Web Development Client In Under 90 Days. Self-taught developer, speaker, and community builder Pauline Narvas discusses time management techniques, productivity, health and wellness and the role they in tech. Co-founder of Dev.to Jess Lee discusses why tech is a great career choice for introverts and extroverts, and how introverts and extroverts can learn from each other. Former blacksmith and farrier Josh Kemp talks about the obstacles he overcame on his way to becoming a developer (in just 9 months and 2 days). Career coach and founder of Career Rehab, Kanika Tolver, shares her advice for transitioning into tech later in life. Rebecca Lima - the founder of Lieu - chats about how to overcome imposter syndrome and self-doubt when working in tech or in an environment where you're different to most people. Interview Cake founder Parker Phinney discusses why you should build programming projects, how to come up with ideas, and how to use your projects to land a job in tech. Former data scientist and CEO of Edlitera, Claudia Virlanuta, teaches us how to stay motivated to learn to code and overcome any obstacles in our way. Writer and teacher David Clinton explains how to figure out which programming language to learn, the best way to learn it, and how many languages you should learn at once. Team Treehouse's Chief Product Officer Londa Quisling talks us through the different kinds of tech jobs found within organizations. We also chat about how coding skills can help people in a “middle skill job”, and how to future-proof yourself in the world of tech. Eileen Ho became a software engineer at LinkedIn after working as a math teacher for almost a decade. She discusses the fears she had about her new career, common stereotypes about working in tech, and what to consider before pursuing a career in tech. What’s changed at Learn to Code With Me since season 4 of the podcast and what’s coming up in season 5. As the fourth season of the Learn to Code With Me podcast draws to a close, I share a few updates about the future of the podcast and Learn to Code With Me as a whole. Sign up to get regular emails from me about exclusive discounts, my favorite tech tools, and my latest blog posts. Follow Learn to Code With Me on Facebook. Join my free Facebook group, Newbie Coder Warehouse. Leave a review of the show to let me know you'd like it back sooner rather than later! Ashu Desai is the founder of Make School, a computer science college in Silicon Valley that trains students for careers in software development. After a childhood in Singapore and Hong Kong, Ashu moved to Silicon Valley at age 10, where he was bitten by the tech bug. He has been building apps since age 16 after getting involved in the computer science program at his high school and self-teaching coding languages. Ashu attended college for a year, but didn't find the focus practical enough, and dropped out to build his own projects. This experience is also what inspired him to found Make School, a product-based approach to learning that focuses on teaching real-world skills. In our conversation, Ashu talks about the importance of a practical education, how Make School works, and tips for getting a job once you're ready. David Venturi is a former chemical engineer who began pursuing a tech career in 2015 and found a passion in data. Recently, David used online resources to create a personalized data science master's program, to help others learn data analysis in a well-structured way. The program encompasses courses from top institutions including Harvard, MIT, and Stanford, and focuses on topics like machine learning, software engineering, and back-end development. David also works at Udacity, where he creates and teaches his own courses on data analysis. Today, we discuss the importance of going for your passions, how he came up with the idea of building a personalized master's program, how to teach yourself data science, and how to stay positive and disciplined while teaching yourself tech skills. Vidya Srinivasan is an engineer, speaker, and singer, who works as a program manager at Microsoft and holds bachelor's and master's degrees in computer science. When she's not on the job, Vidya stays busy with tech-related volunteering and activities. She loves to hack-for-good, and has won multiple awards at the Microsoft One Week hackathons. She has been part of the Grace Hopper Conference leadership since 2014 and regularly speaks about tech at various conferences and presentations. Vidya is also passionate about music and her family. She holds a degree in Indian classical music and performs with Seattle bands to raise funds for nonprofits. When she recently became a new mom, she added time with her daughter to her busy schedule--and carried on doing the other things she loves as well! In our conversation, I speak with Vidya about how she's balanced her career and passions with her experiences of pregnancy and parenthood. She gives advice on juggling responsibilities, staying involved in activities, and being transparent with your colleagues and company while starting a family. Allan Leinwand is the CTO at ServiceNow. Over his career, he has built a reputation for managing the world’s most demanding clouds. In his role at ServiceNow, Allan is personally responsible for overseeing all technical aspects and guiding the long-term technology strategy for the company. He is involved in building and running the ServiceNow Enterprise Cloud--the second largest enterprise cloud computing environment on the planet. During college, Allan knew he wanted to be involved in tech, though he wasn't sure in what specific capacity. His first post-graduation job was at HP, where he fell in love with computer science and networking. He then worked at Cisco, and now ServiceNow, where he has delved more into machine learning and cloud computing. In our conversation, we talk about how Allan pursued a career in tech leadership, the difference between AI and machine learning, what to do if you want a career in machine learning or technical leadership, and more. Lillian Pierson is a freelance data scientist for SMEs and entrepreneurs, as well as a trainer, speaker, and coach for people who want to get into data science and analytics. Before she got into data science, Lillian worked in engineering. However, her interest in the tech space began early: she started teaching herself basic code in sixth grade, and always enjoyed working with data. When she decided on a career change, data science was the natural choice. Lillian is also the author of Data Science for Dummies and the founder of Data-Mania, the company through which she offers data training services to professionals seeking career advancement. She works remotely as much as possible, which allowed her to move overseas to Thailand, where she's currently living the island life with her family. In today's episode, we discuss freelancing as a data scientist, how to manage remote work and travel, the importance of building your personal brand, and more. Bill Sourour is the founder of DevMastery.com, the founder and president of technology consulting firm Arcnovus, and a frequent consultant for the Canadian government. Through DevMastery, Bill offers a weekly newsletter full of tips and resources to help developers program better and advance their careers. Bill has 20 years of experience as a programmer and architect, which he uses to help both individual developers and large organizations as a teacher and consultant. Bill's secondary passion was for acting; after studying theatre at Concordia University, he balanced both pursuits for years until he decided to fully commit to his tech career. In today's conversation, we talk about the early days of Bill's career balancing his tech and theatre passions, how he got into consulting and started a business, his advice for people who want to work freelance, his goals for helping developers with the DevMastery newsletter, and more. Bridget Kromhout is a DevOps professional with a passion for giving back to her community. In her professional working life so far, Bridget spent 15 years as an operations engineer, and now works at Microsoft as a Principal Cloud Developer Advocate. Her spare time is full of tech-related and volunteer activities: she leads the worldwide conference organization Devopsdays, runs community tech events in her home city of Minneapolis, co-hosts the Arrested DevOps podcast, and frequently participates in tech conferences as both a speaker and committee member. In our conversation, Bridget talks about how she worked her way through college, what the day-to-day of being a tech advocate looks like, her experiences attending, chairing, and speaking at tech conferences, and the various side projects she's involved in to do her part in helping others. Fernando Hidalgo is a self-taught data scientist who went from being a teacher’s assistant to a data scientist in just one-and-a-half years. After studying economics in school, Fernando held a variety of jobs, unsure of what he wanted to do. One day, he started researching data science, and it captured his interest. Using trial and error, a bunch of online platforms, and a data science bootcamp, Fernando completely transformed his career path. Now, Fernando works as a data scientist at Discovery Communications, and in his spare time helps others hack their careers at fernandodata.com. In the episode, we talk about how Fernando started from zero to teach himself data science, what resources he used, what technologies aspiring data scientists should learn, and his tips for marketing yourself to employers or clients. Josh Doody is a salary negotiation coach and author who helps software developers receive more job offers and negotiate higher salaries. In addition to helping clients one-on-one, Josh wrote the book Fearless Salary Negotiation, which includes his best strategies and tactics for getting paid what you're worth. The principles in this book can be used by anyone, not just software developers! Our conversation covers how Josh got inspired to pursue the art of negotiation, how to stand out during the interview and hiring process, some of his top salary negotiation strategies, and how to get promoted at your current company. By day, Christine Chapman works as a software engineer at Audible, where she's been ever since leaving her previous role as a full-stack Android developer at Amazon. But her love of tech doesn't stop when she leaves the office: Christine is also passionate about giving back and spreading computer science literacy to her community. Some of Christine's favorite organizations to get involved with are ones that make an effort to increase diversity in the tech world, like Black Girls Code, Girl Develop It, and Women’s Coding Collective. She teaches courses for Girl Develop It and volunteers at Uplift, a nonprofit dedicated to combating sexual violence online. In our conversation, Christine talks about her early experiences studying computer science and interning in competitive programs, gives advice for a job at a company like Amazon, and encourages us all to volunteer outside our day jobs, with actionable tips for getting involved. Neel Mehta is a co-author of "Swipe to Unlock: The Non-Coder's Guide to Technology and the Business Strategy Behind It." At time of this interview Neel is a senior at Harvard, studying computer science, and has held internships at Microsoft, Khan Academy, and the U.S. census bureau. One of Neel's greatest passions is using technology for social good. He started by launching an education app with a quarter-million users while he was still in high school. More recently, he founded a civic technology nonprofit, Coding it Forward, empowering young coders to use their talents for good. In our discussion, Neel shares what drew him to technology at a young age, how he landed his competitive internships in college, why it's important to understand technology even for professionals not in tech roles, and more. Ben Collins is a spreadsheet developer, data consultant, and data analytics instructor. He blogs and creates courses at BenLCollins.com, focusing on how to work with data using Google Sheets, Apps Script, and Data Studio. Ben has taught workshops on data analysis, as well as doing freelance and consulting work. Prior to striking out on his own, he spent seven years as a forensic accountant focusing on data analysis. In this episode, we talk about what a data analyst does, how Ben taught himself how to code, why demand is high for data professionals right now, the tools a data analyst uses, and the first steps to take if you want to get started in the field. If you want to step up your spreadsheet game, you can get 20% off Ben's Google Sheets Training Bundle using my affiliate/commission link at LearntoCodeWith.Me/sheets. Going through this link will automatically apply the 20% discount on this course and send a few bucks my way at no extra cost to you. Listen to the episode for the story of Madison's journey from homeschooler to college dropout to fashion model to frontend and then fullstack developer. Along the way, she shares thoughts on productivity, working remotely, pursuing your passions, landing that first job, learning by teaching, and more. In today’s episode I talk with Alice Zhao, a senior data scientist at Metis. We talk about her background in analytics, the importance of storytelling in data science, and her advice for anyone who wants to get into data science. In this second episode of Season 4, I talk with Dr. Nicole Forsgren, the CEO and Chief Scientist at DevOps Research and Assessment. We chat about what DevOps is, the skills a DevOps career requires, and how anyone can get started in DevOps. Mark Price is a mobile app developer and the CEO of Devslopes. He shares how he got into app development, what makes a successful app, and how he started teaching online. Welcome to season 4 of the Learn to Code With Me podcast. In this episode, I tell you what you can expect from this season, who I’ll be talking to, and how you can keep in touch. Chris Wysopal is the co-founder and chief technology officer at Veracode, where he oversees technology strategy and information security. In our conversation, he talks about challenges and career options in the field of security. Anant Agarwal is a professor at MIT, as well as the founder and CEO of edX - an online learning platform founded by Harvard and MIT. We talk about how and why edX was started, trends in online learning, and Anant’s advice for high schoolers. Laura Medalia is a software engineer and avid Instagram user. She majored in english, but taught herself code on the side. From college she got a job in a health tech startup. Laura shares how she crushes the coding stereotypes through her Instagram. Matt Lane - the co-founder and lead instructor at Rithm School - shares how he created a coding bootcamp in San Francisco. He also gives us some great interview tips. Yasmine Mustafa is the CEO and founder of ROAR for Good, a hardware company that provides women with technology to help keep them safe. In this interview she shares with us her journey into tech and how she led Girl Develop It into Philly. Jamal O’Garro lost his job in finance and was unemployed for a year before he taught himself how to code and set up Code Crew. In this interview, Jamal shares some of the best resources available and how important it is to build a network of peers. Alexandra Dickinson, the CEO and founder of Ask For It, shares her advice on the art of negotiation both in the workplace and at home. She shares some great tips on making more money from a new job or a raise. Zac Otero dropped out of high school and worked at factories and other odd jobs before becoming a Salesforce admin. In this interview, Zac shares how he taught himself Salesforce and made the giant career switch. Codeverse co-founder and CMO Katy Lynch tells us how she created Kidscript - a programming language for children. She also tell us about her mission to teach 1 billion kids how to code and offers advice for anyone starting a business. Raj Mukherjee, SVP of Product at Indeed.com, discusses tech job trends, the value of coding bootcamps, and shares advice for people looking to switch into a tech career later in life. Lucidchart co-founder and CTO Ben Dilts shares how he started and scaled Lucidchart, a diagramming tool for visual communication. Ben also gives advice for those learning how to code. Seema Gururaj is the Founder and CEO of Square Circle Inc., a platform that empowers women technologists to grow their profile as an expert. In this interview, Seema offers advice for women who want to get ahead in their tech career and build a reputation as a leader. Janina Kutyn is an iOS developer who has lived in four countries around the world. In our conversation, she shares what it was like working at Apple, what led her start (and later end) her side hustle, Silicon Sweetheart, and much more. Alexander Kallaway explains how he taught himself how to code and what led him to start the #100daysofcode movement. He also shares advice for fellow beginners feeling stuck as they learn to code. Christie Pitts shares how she worked her way up at Verizon from store manager to venture development manager. Christie also offers advice for those looking to get started in venture capital. Steven Harms, Dev Bootcamp's Director of Curriculum, describes how he first got into tech. He also shares how his career evolved from working as a software engineer to helping others become software engineers. Sam Gimbel is Co-Founder and Head of Product at Clark, an app for tutors to manage all aspects of their businesses. Before starting Clark, Sam spent six years working as a PM in NYC at companies like Digital Ocean, DramaFever, and more. Tracy Lee, co-founder at This Dot and a Google Developer Expert, describes how she first got into tech after running her own startups for 5+ years. In this interview, she shares advice on learning to code, speaking at events, and much more. Ben Halpern, founder of The Practical Dev and other tech startups, explains how he began learning to code after studying marketing in college. He also shares advice for beginners, teaching themselves how to code. In the first episode of season 3, Ventrice Lam shares how she switched into tech after a career in finance, where she worked at Goldman Sachs for 6 years. 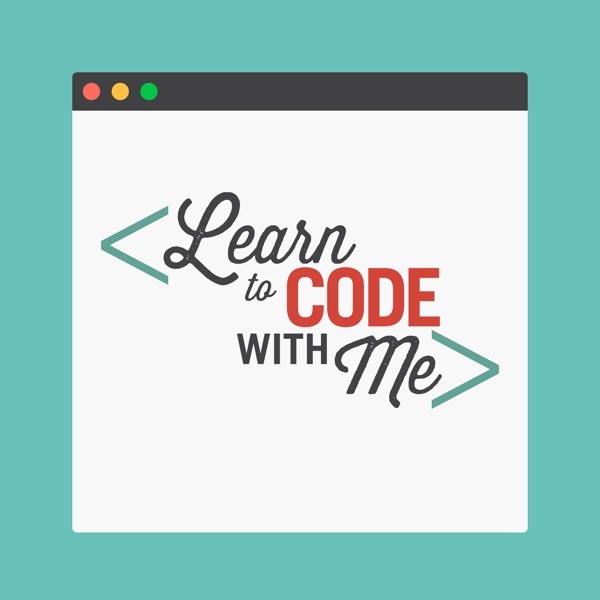 Welcome to season 3 of the Learn to Code With Me podcast. In this season we chat with a range of individuals working in the tech industry including startup founders, iOS developers, product managers and much more. In the final episode of season 2, GitLab CEO Sid Sijbrandij shares how he taught himself how to code and later co-founded GitLab, an open source tool used by developers to create and manage code bases collaboratively. Co-founder and CEO of Triplebyte, Harj Taggar, shares how he went from studying law in the UK to building startups in Silicon Valley. Harj also describes how he became the first non-founding partner at Y Combinator. Anthony Delgado followed anything but a typical path into the world of technology. After starting out as an online entrepreneur, Anthony ended up learning his way into the role of Director of Technology. Sarah Tan is a liberal arts graduate with a bent for social good. She has 10 years of experience as a front end developer. After working in higher ed, digital agencies and politics - she is now a recent MBA graduate. Jerome Hardaway explains how he learned how to code and ultimately built Vets Who Code - a 501(c)(3) that remotely teaches veterans how to program. Luisa Morales shares how she went from working in community development to teaching herself how to code. Today, Luisa is a frontend developer at the dev agency Stealthwerk. Jade Applegate transitioned into tech almost 3 years ago. After attending a General Assembly bootcamp, she landed first software engineering job at Fastly - where she still works today. In our interview, Jade shares helpful advice for those switching into tech. Holy P is a vegan blogger turned coder. Today Holy runs Untouchd Mag, helps out with Girl Develop It Atlanta, and has a highly popular Instagram account with over 12,000 followers (and counting). Allison Esposito shares how she went from the world of journalism to working at Google. Today, Allison runs Tech Ladies, a thriving online community and job site for women. After pursuing a Bachelor of Music in Violin Performance, Debbie Milburn decided to change directions by learning how to code. Today, she works as an Instructor Apprentice at Dev Bootcamp NYC. In this episode, Lisa Smith explains how she made a career transition from a university librarian to a web developer without any formal education. Eugene Woo, cofounder of Venngage, shares how he first got into entrepreneurship and what he has learned through building two companies of his own. Quincy Larson shares how he fell in love with coding, and what led to the creation of Free Code Camp - an open source community that helps you learn to code, then practice by building projects for nonprofits. UI engineer, Bryan Knight, shares how he learned to code after a career in the Air Force and then as a real estate agent. If you’re learning to code later in life, this episode is a must listen! Saron Yitbarek, founder of CodeNewbie, shares how she learned to code, landed a job at Microsoft, and started CodeNewbie - the most supportive community of people learning to code. 20-year-old Daniel Thorne tells his story about leaving his college computer science program to attend a coding bootcamp, Fullstack Academy, instead. Former teacher Stephen Mayeux shares how he taught himself how to code while teaching English overseas. Avi Flombaum, founder of Flatiron School, shares how he taught himself how to code at a young age plus the story behind the creation of Flatiron School. Evan Leong is a musician, designer, and recently turned iOS developer. In this episode of the Learn to Code With Me podcast, Evan shares how he built his own iOS app in just 90 days. In the first full-length episode in season 2 of the Learn to Code With Me podcast I chat with Briana Swift, an elementary teacher turned trainer at Github. Season 2 of the Learn to Code With Me podcast will focus on self-taught coders and their stories. Here’s what else you can expect in this season. A special announcement regarding season 2 of the Learn to Code With Me podcast. Karin Nielsen learned how to code so she could build her startup, Fluently. In our conversation, we discuss how technical skills can come in handy when building your company. Plus, she shares overall advice about starting your own startup. Lawrence Howlett has been running a digital agency, New Edge, for over ten years. Based in the UK, Lawrence shares how he began building websites to earn extra money, to hiring his first employee, and later renting his first company office. In less than 7 months Brian Jenney made a complete career switch from a career advisor at a community college to gainfully employed as a full-time developer. In our interview, Brian shares exactly how he made the transition, all while balancing other responsibilities like raising two small children and a second job as a Lyft driver. Sandy Jones-Kaminski is a networking and LinkedIn expert. In this episode we discuss the importance of networking and why every professional needs to be on LinkedIn. Sandy also shares actionable advice on how to rock your next networking event. Lisa Ghisolf has been successfully running her own boutique design and WordPress firm since 2003. In today’s show, we discuss how she started the business, how it has evolved, her side projects, and speaking at conferences. Joshua Penman spent most of his career in the music industry until 2015 when he made a drastic career transition into software engineering. Today, Joshua works as an engineer at Asana. In this episode, we discuss his experience at one of the top coding bootcamps in the US (App Academy) plus what it was like finding a job afterwards. Becca Refford began teaching herself to code when she was 17 years old. After a short stint in college, she realized the traditional academic route wasn’t for her. In this episode, Becca shares how she carved her way into the Philadelphia tech scene without a college degree. Parker Phinney is the founder of Interview Cake, a coding interview practice website. Inside this episode he shares insights on how you can prepare for your technical interview.